Woodworks was established in 199﻿7 by Andrew Hooke. We produce individual bespoke boats to meet our customers' taste and requirements. We will work with you to achieve the optimum boat layout for your needs and priorities and encourage your close involvement during the construction of your boat. We produce exceptional, high quality boats. Please view our bespoke boat page for examples of our work. We have an excellent reputation for quality of workmanship, attention to fine detail and customer service. This is reflected in return business and previous customers recommending Woodworks to prospective boat owners. We follow and exceed the British Marine recommendations of good boat building practice. You are welcome to visit us to see current work and to discuss your plans. Please feel free to call into the workshop, there is no need to make an appointment but a prior telephone call is advisable as we may be working off site. 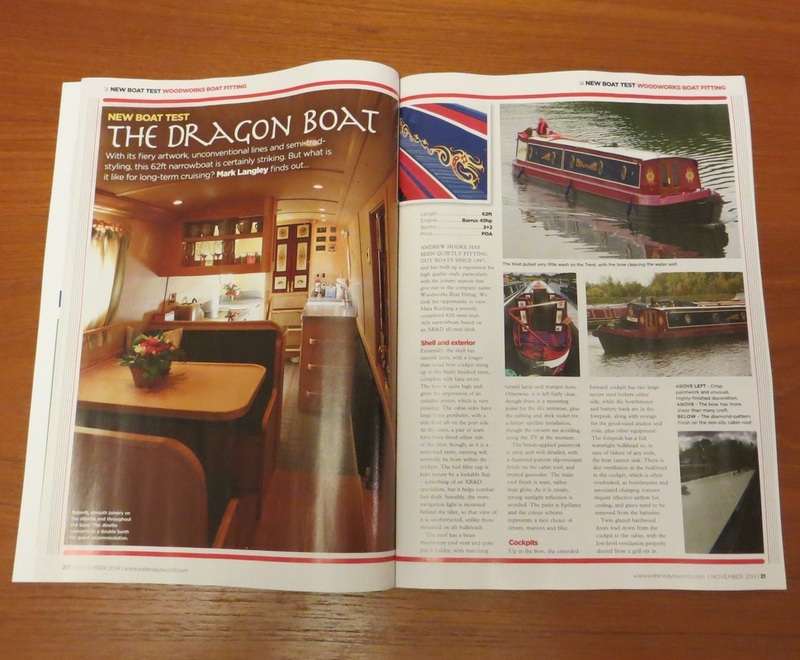 "The interior is exceptionally fitted out... Good practice abounds in the boat"